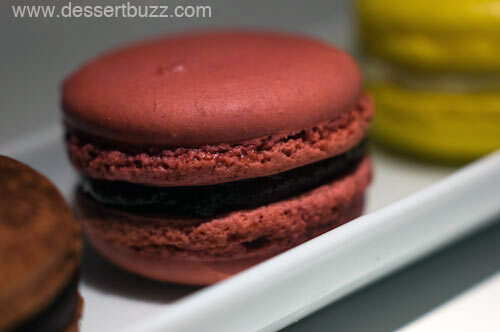 Dessertbuzz | Bisousciao has great macarons-possibly the best in NYC! Are these the best macarons in New York? Yes. Yesterday was Macaron day in NYC and by all accounts it was a huge success. For me, it was an excuse to visit Bisousciao, a shop that commenters had been screaming at me to review for weeks. I visited them on Saturday, the day before the freebie crush. I have to admit, the commenters were right. This place is on a slightly higher level than the other macaron shops I have reviewed. To be fair, Bisousciao does have an advantage over most of their competition in New York, they only offers one product–macarons. Luckily for them, they do it really well. The store resembles a gallery. They have one large display case which is refrigerated and optimized for macarons. I noticed that every time they sold someone a cookie they reminded them that the flavors and textures would be enhanced if served at room temperature. I love that commitment to educating their customers–after all what the hell do Americans know about macarons? So what actually makes these macarons so good? Their outstanding feature is the quality and strength of the flavors. Every one of the seven I tried Saturday had a unique and pronounced flavor. The raspberry tasted like super, high-end raspberry jam, the lemon tasted and smelled like fresh lemons. In addition, every macaron was fresh and had a perfect consistency. At some bakeries the popular flavors are often fresh and the esoteric flavors are less-fresh or worse, stale. Not here. All the fruit flavors, but particularly the citrus were outstanding. 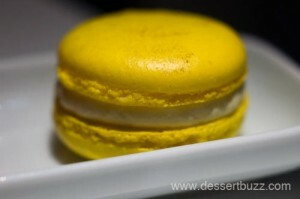 The lemon macaron was the best I have had in New York. I don’t make this claim lightly, I challenge any reader to go there and have one and tell me I’m wrong! The raspeberry was also outstanding. Even the chocolate, vanilla and salted caramel were on another level after letting them sit for a 5-10 mins at room temperature. At $2.25 each – this is definitely the place to go if you fancy yourself a macaron connoisseur. Bisousciao is located at 101 Stanton Street (@Ludlow). Their website is here. Finally you went to see for yourself! 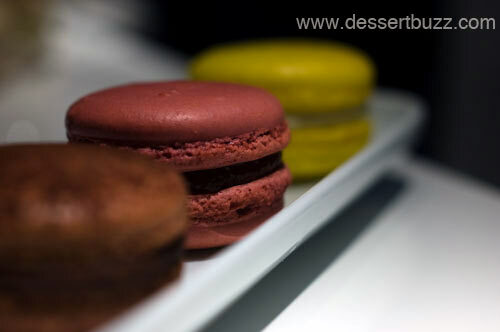 On macaron day, Bisou Ciao were the best of the lot. Second came DessertTruckworks, then La Maison du Chocolat. Macaron Cafe was fourth on the list. Shame to Bouchon Bakery wo gave such tiny ones that they needn’t have bothered. Payard’s crumbled quickly. Seby, you were right. Frankly, so many people comment and recommned places to me with such strong feelings one way or the other and they rarely end up being as different as the commenter claims. In this case you were correct – overall taking everything into consideration this place is the best. That said many of the other places when you get a fresh batch or on most of they days – are about as good but not as consistent day in and day out and without the numbers of flavors that Biso offers. Thanks for writing about Bisousciao. I had them at a bridal shower and couldn’t remember the name. Might be the best in the world. My favs were previously Pierre Hereme, Lauduree, and Payard, but B wins hands down for the balance of flavors. Macaron Cafe was disappointingly inconsistent. They can be dry, too chewy (a proper mac should melt in your mouth), or have an air pocket. Plus, their fillings are overly sweet. 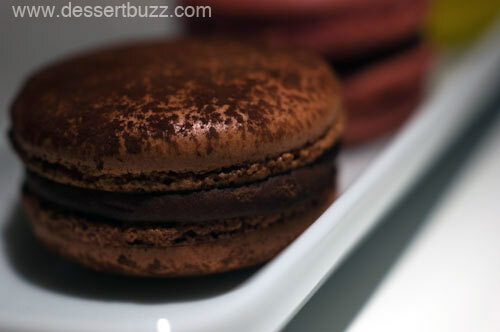 Eater has news about the new macaron machine that Payard is going to have at his new place. I doubt if they will be better than his dismal offering on Macaron Day – however, this is disturbing to me. Just visited Bosie Tea Parlour in the West Village for their macarons. The salted caramel had a good flavor, the lemon was insipid, the passion fruit was fine. I had expected much more from a pastry chef who worked at both Laduree & Pierre Herme Boutique. I still think Bisou Ciao is the best here.